It's been a while since I've felt the need to talk about David Ward, the former MP for Bradford East. For those unfamiliar with Mr Ward, his membership of the party was suspended pending investigation into alleged anti-Semitic comments shortly before the General Election of 2017. Ward then stood as an independent candidate, finishing third. he was then, I believe, expelled from the party for standing against the official Lib Dem candidate. Ward has been a controversial figure for some time, not least because of statements he has made on Israel, the Holocaust and the Board of Deputies. I'm afraid I've usually found myself unable to defend him. Unfortunately, a newspaper local to Bradford - the Telegraph & Argus - reported that "David Ward is back in the Lib Dems". It stated categorically that "a former Bradford MP has been reinstated as a member of the Liberal Democrats - almost two years after he was kicked out of the party." This was news to me - and rather disturbing news. Naturally I looked to find some confirmation of this. I couldn't. The only other news outlet reporting on this was the Bradford Telegraph, owned by the T& A, whose headline was the more cautious "David Ward says return to Lib Dems 'a formality'". That's not quite the same thing. But the situation begs some serious questions: why was David Ward briefing the local media that he had been re-admitted? Why would he be publicly pre-empt the outcome of his application to re-join? More importantly, why - when various angered Jewish (and other) groups were berating the party on social media for the apparent decision - was Lib Dem HQ not quick off the mark to issue a formal statement denying it? 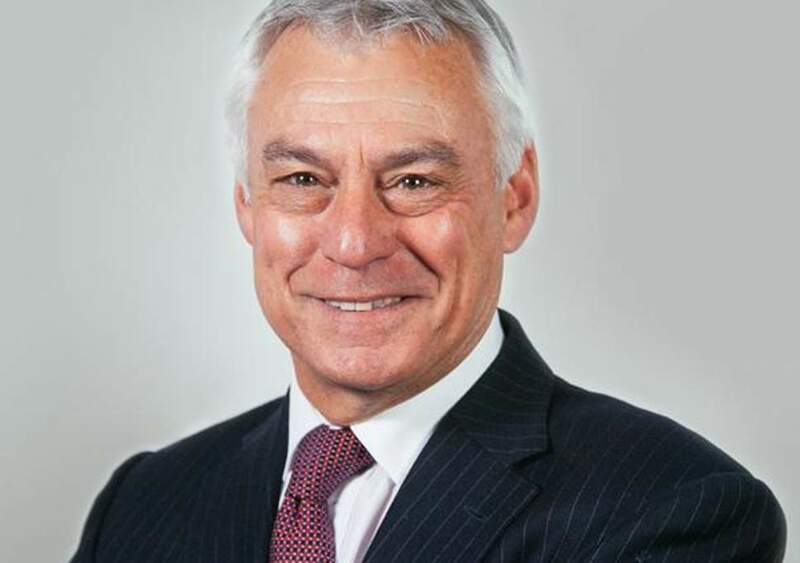 The Jewish Chronicle was on hand later to quote a party spokesperson as saying "David Ward is not a member of the Liberal Democrats and was previously expelled from the party for bringing it into disrepute." I'm not sure he was, but I won't split hairs. However, by this time the "news" had travelled some distance and was widely believed. It's difficult to put the genie back into the bottle - even more so when it takes several hours to make the most simple of denials. But more importantly still is what discussions on social media revealed about the relationship between Mr Ward and his local Liberal Democrats. 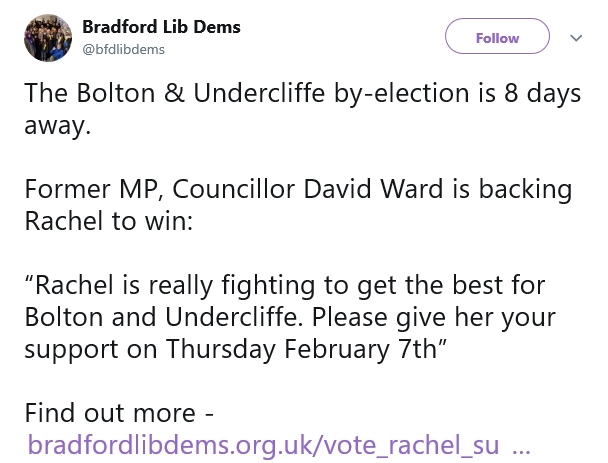 So, not only are Bradford Liberal Democrats working closely with Mr Ward in defiance of the federal party, they have essentially adopted him onto the council's Lib Dem group as the deputy leader. Ward himself admitted to the Jewish Chronicle today that he is not a Lib Dem member, however much he believes his reinstatement is a "formality" - so why on earth has someone elected to the council as an independent risen to become the deputy leader of a group he is not a member of? How has this escaped the radar of Lib Dem HQ at Great George Street? 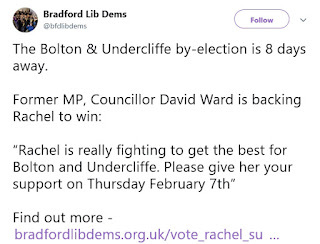 It would also seem that the tweets from Bradford Lib Dems were intended as part of a concerted effort to raise the profile of Mr Ward in advance of what they believed would be his readmission to the party. The Bradford Telegraph reported that "both the Bradford and Yorkshire parties said that he should re-apply for membership" and that a decision on his membership would be made at regional level. However, in pre-empting the outcome of that process the local party has not only miscalculated but has also arguably brought the federal party into disrepute. How long has this relationship been going on for? Just how long has Mr Ward been sitting as "deputy leader" of our party grouping? (I'm led to believe he has been sitting with the Lib Dem group for nine months, giving the appearance of having been brought back into the fold. This, if true, is simply unacceptable). Whatever our views on David Ward and his controversial opinions, this is not a professional way to behave. We now have some serious questions to answer - about Mr Ward himself, about internal procedure, about how we deal with local parties acting in opposition to centrally-imposed suspensions, about our own communications and, perhaps most significantly, about how we deal with anti-Semitism and other expressions of discrimination. I suspect the local parties have miscalculated here. But, more than that, in pre-determining the outcome of Mr Ward's membership application, and in developing a worryingly close relationship with an expelled former member, they have to my mind managed to bring the federal party into disrepute. Certainly the images posted of him on social media by Bradford Lib Dems endorsing their candidates were, to be polite, inappropriate. 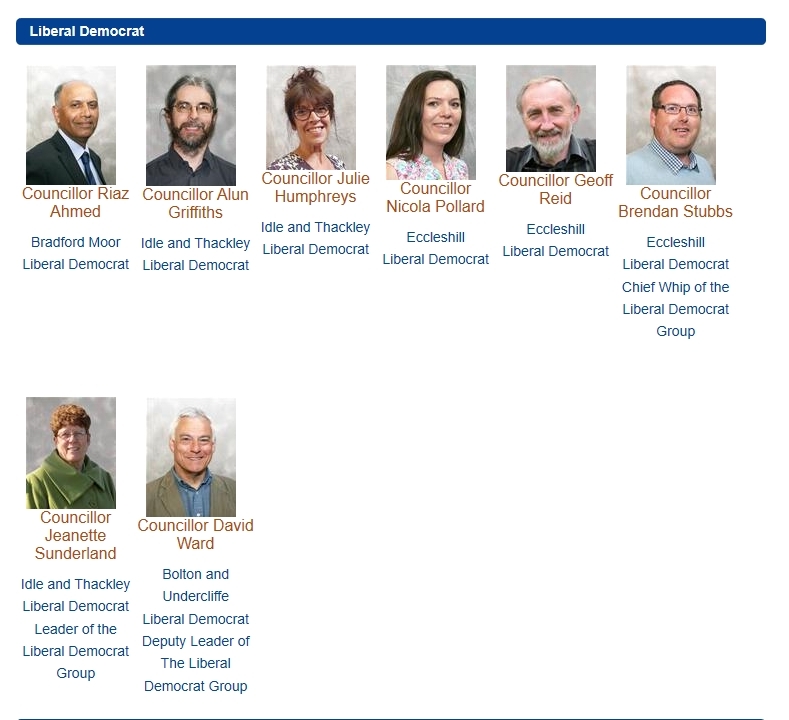 It IS possible to a member of a Liberal Democrat Group on a Council whilst not being a party member. This has happened in the past, and in some cases a Council group is a 'Lib Dems & allies' group. I'm not aware that David has ever made any comments on the Holocaust. If you are aware of any, then you should substantiate these, nit just make a comment which could be misleading. David was expelled form the Party for standing as an Independent in 2017, not for anything else. He was removed as a PPC when the then Party Leader panicked after an attack on David by Tory MP Eric Pickles. Yes, it is possible - hence my addition in red type after my original post. 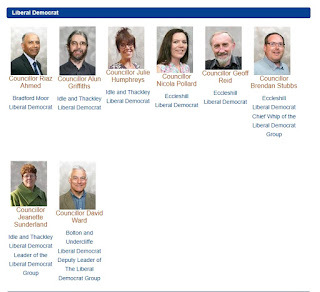 certainly the council's website does not make the distinction between Lib Dems and "others", and given that David is a highly controversial figure who is indeed not a member of the party this could mislead the public into believing that he is (indeed, some within the Labour Party see this as evidence that he is). Questions as to whether it was wise to enter such a relationship with Mr Ward do need to be asked - it's not just about whether this kind of arrangement is possible, but whether it is/was sensible. As for David's comments on the Holocaust, a basic google search would have brought this up. I refer you to the relevant Wikipedia page. I mentioned that Ward had made controversial statements on the Holocaust, amongst other things. I am not suggesting he is a holocaust denier or any such thing. Indeed you are correct in that David was expelled from the party over his decision to stand against the official candidate, which is why I wrote above that "I'm not sure he was, but I won't split hairs" in response to the party spokesperson's assertion that he was expelled for bringing the party into disrepute. Of course, he was prevented from standing under the Lib Dem banner in that election for very different reasons. I find this continued hounding of David Ward hugely frustrating to say the least. David has been outspoken about the behaviour of the Israeli government (yes, government, not all Israelis and certainly not all Jews)towards Palestine, and quite rightly so. You can find an account of us various statements on Wikipedia. I find nothing unreasonable thatt his views resonate with mine. I remember more clearly the details of the Jenny Tonge affair. M/s Tonge, as she then was, said after a visit to Palestine, that, whilst she did not approve of the actions of Palestinian suicide bombers, she could understand why they did it. My feeling exactly. For that she was slapped down by our then Leader Charles Kennedy, and eventually left the party. I also remember that, after a comment critical of the Israeli government (again, government, not all Israelis and not all Jews) David Ward said that he received “a veritable tsunami of opprobrium” (or words to that effect) from the Jewish lobby. What is it with the Jewish lobby? What hold to they have over the party? How is it they can stifle free debate in a party that has “Liberal” in its title? Surely:“I Disapprove of What You Say, But I Will Defend to the Death Your Right to Say It," is at the heart of our existence. On top of that the machinations which deprived David of his right to stand as a Liberal Democrat in 2017 were highly irregular if not illegal, as are the present manoeuvres to stop him rejoining the party. The fact that, in spite of everything, he remains keen to continue to serve with us and fight on our behalf shows that he is Liberal to the core. Lesser men would tell the party to get lost. 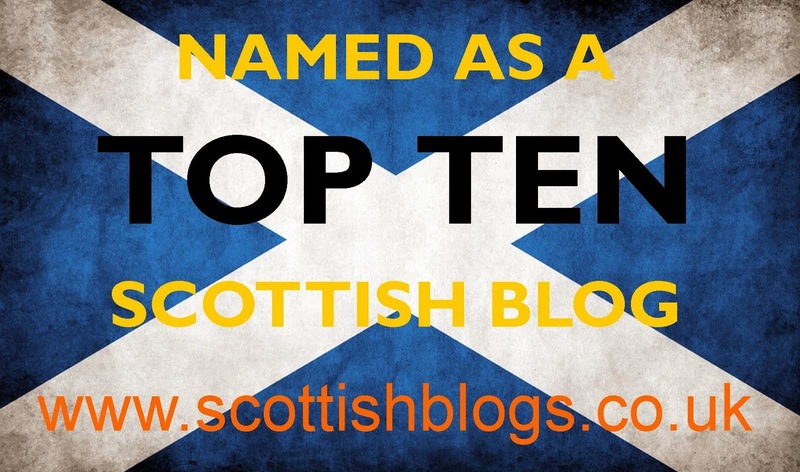 "I find this continued hounding of David Ward hugely frustrating to say the least." In what way am I hounding David Ward? The issue here is about someone suspended and later expelled from the party and how relationships should work between the party and such people. Do you seriously think Mr ward acted professionally in informing the press that his membership had been reinstated? Do you not think it important that procedures should actually be followed? "David has been outspoken about the behaviour of the Israeli government (yes, government, not all Israelis and certainly not all Jews)." That hasn't stopped his using the words "Jews" as an apparent synonym for the Israeli government. "I find nothing unreasonable that his views resonate with mine." Many of us disagree. That, however, isn't actually the issue here. "What is it with the Jewish lobby? What hold to they have over the party? How is it they can stifle free debate in a party that has “Liberal” in its title?" I think the focus on the "Jewish lobby" speaks volumes and defeats your previous defence. You're not talking about a pro-Israel lobby, but an expressly Jewish one. I think people will understandably have some difficulty with that. "Surely 'I Disapprove of What You Say, But I Will Defend to the Death Your Right to Say It' is at the heart of our existence." Not necessarily if saying it damages and dehumanises people, or if it incites people to intolerance. But that's not the issue I've addressed above - it's about how we deal with people expelled from the party and how they deal with us/the media. "On top of that the machinations which deprived David of his right to stand as a Liberal Democrat in 2017 were highly irregular". On that much I'll agree. It was not illegal. And irregular doesn't necessarily mean it was wrong - but that was Tim Farron's decision. I was reading your comment and I wondered "how long until we get to a 'Liberal to his fingernails' tribute. You didn't disappoint with "he remains keen to continue to serve with us and fight on our behalf shows that he is Liberal to the core"! You obviously have admiration for MR Ward, and that is understandable. But you seem to miss my point, which your later discussion about the party's internal processes reinforces: process matters, as does appearance. If Mr Ward is to be readmitted then it has to be dome properly, people's objections addressed, and without the outcome being pre-empted and communicated amateurishly to local media. Let's just say this unprofessional episode doesn't exactly do either Mr Ward or the Bradford Lib Dems much credit.